Stillness has energy. When we decide to pause, to stay still, we give ourselves permission to witness the movement of energy within our bodies and the energy that emanates around us. 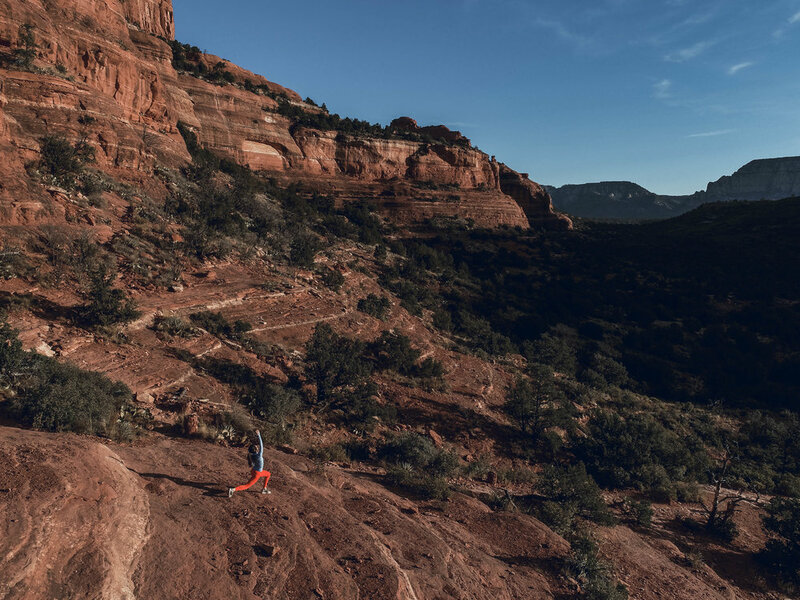 Take this concept and place it in one of the most energetic rock canyons, perhaps in the world, and you get to witness the magnetic harmony that helps us cultivate our own greatness and witness the harmonious greatness between ourselves and nature. It's my second Journey at Mii Amo in the great Boynton Canyon and again I was left thunderstruck. The transformation and attention that can be cultivated here is something I hope everyone can experience at least once in life. Mii Amo has the rare gift of drawing in guests and making them lifelong visitors. One woman I met has been 7 times. She comes twice a year, solo, to do the work. To quiet enough to witness that movement of energy that leads to personal growth and empowerment. Surrender yourself to the journey, to the canyon, to the vortex and they will surrender their gifts to you. In other words, happiness is not the destination. We have this habit of connecting things in our mind to happiness. When we do this we neglect what our heart wants, what brings us true internal joy regardless of what people think. That includes that little voice in our head. It turns out this idea of leading from the heart was the resonating theme from my Journey. 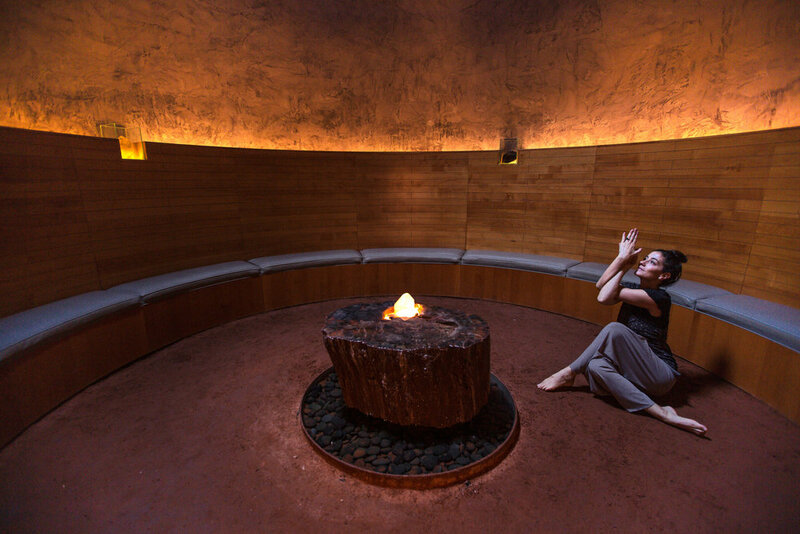 If you're not familiar with Mii Amo, this destination spa specializes in the Journey. 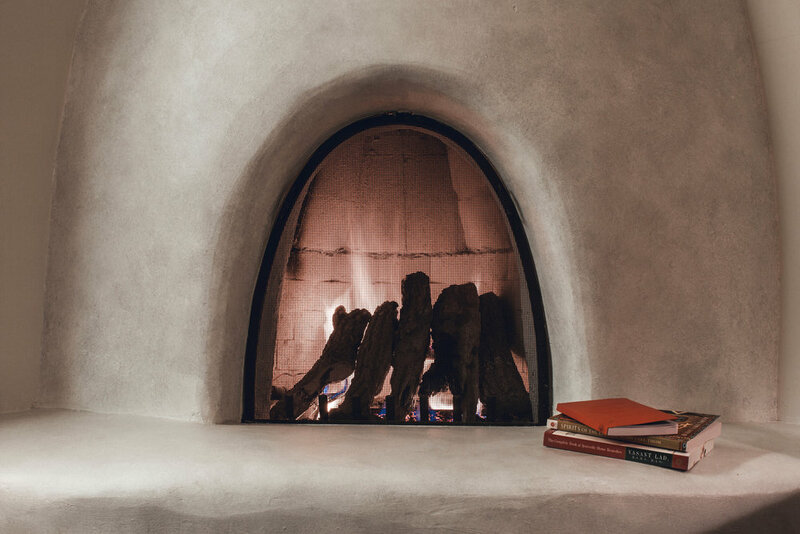 Upon arrival you are whisked to a gorgeous casita connected to the spa and given 2 treatments a day, delicious healthy meals, a special blue robe and access to incredible activities to help assist you on your Journey. The goal of the Journey is entirely your own. 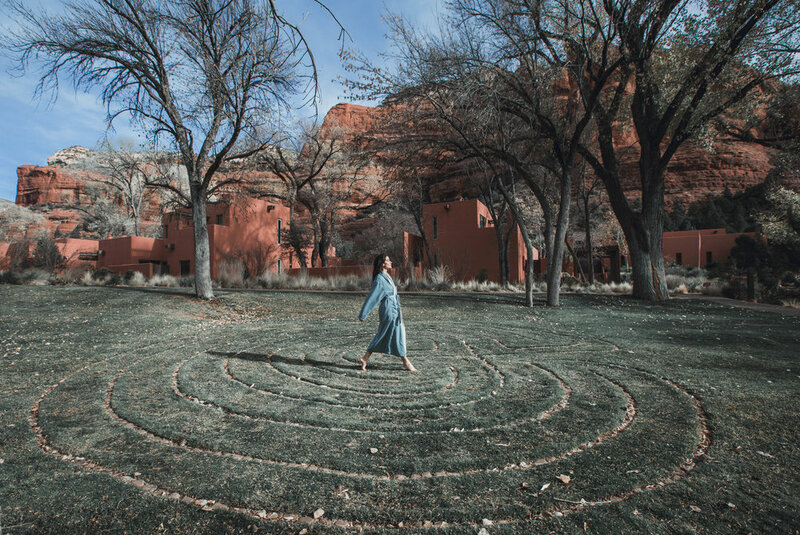 Many come here for just relaxation and hiking in the red rocks but most come to heal or find clarity in their purpose. There is always a glaring theme to each Journey, at least in my experience. Last time, my purpose was clear. I found clarity in my path after just switching my platform to wellness. It was the proof I needed to stay the course and it proved successful. When I'm in the canyon I drop into a super introspective way of existing. The canyon almost gently demands it. Journal Your Heart Out. Mii Amo provides a pretty red journal to write down notes from treatments or any other things that come to you while on the Journey. I filled mine every night by the fire. There's no cell service in the canyon so my mind was clear. Highly recommend doing this at home at night. Be gentle with yourself with warm oil. My first treatment was Abhyanga Shirodhara, an ancient Ayurvedic practice that involves 2 therapists rubbing warm oil on the body followed by Shirodhara third eye oil stimulation. This is incredibly soothing to the nervous system. At home, heat some sesame oil or Dosha pacifying oil and give a self massage every morning or evening. If you come to Mii Amo, start with this treatment to help get you grounded and free yourself of the energy you brought there. Root Your Feet During Meditation. Mii Amo has an incredible crystal mediation grotto that actually lines up with the sun during the summer solstice so the sun hits the crystal. Next level! Our initial ritual when we arrived was to write down an intention and be still in the grotto. I realized after that my feet grounded so hard to the earth that it left a ton of clay on my feet. During this time I had visions of rushing water through the canyon and tree roots creeping up around my feet followed by a snake. I bought a Native American animal book in the gift shop and it said snakes offer protection. It was a good omen for my journey. Document Wants/Obstacles. One exercise Keith had us do was write down 3 things we want in life and then 3 things that stop us from those things. Simple but powerful. Take a moment to reflect on the truths that come out here. Great 2018 New Year exercise! Something Mii Amo has that is unique is the Aura Soma reading. I just love love this! I've learned so much about my hidden thoughts, frustrations and desires through the choosing of these colored bottles. This one treatment has singlehandedly helped guide my Journey theme. These are the bottles that I picked above. 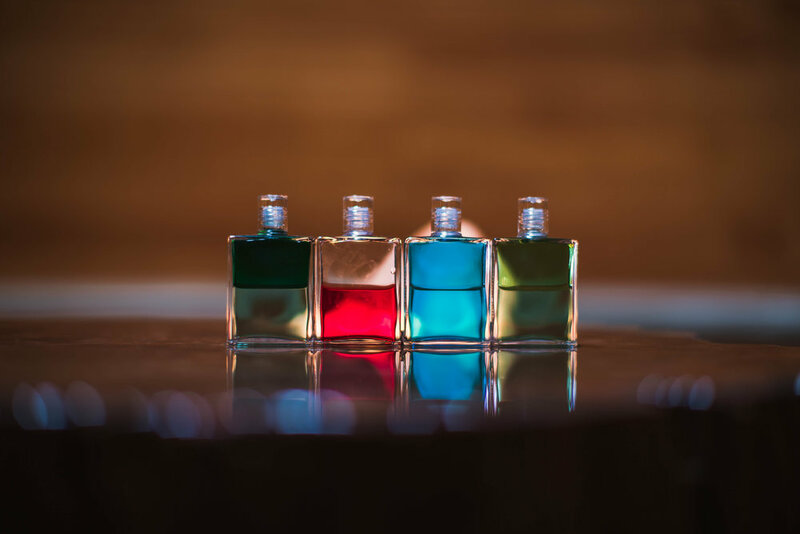 The combination of colors, which are an energetic equilibrium combination of flower essence, crystal and herbs, are self-selective and each bottle holds a message. So basically you're looking at my brain and being in color bottle form. Remember I said my journey theme had to do with the heart? The first bottle I chose was about leading with the heart and female leadership. As I've been deciding how to evolve this platform, this was a gift. If you guys are on the fence about trying cupping, I'm here to encourage you to DO IT! In between all the mental work I did at Mii Amo I also tried to take care of my physical issues, including my chronic neck and shoulder pain. Cupping goes deep into your muscles, drawing toxins up into the lymph system allowing new circulation to occur. Of everything I've tried, this has been the most powerful. You can see the marks on my back above, this was the day after. They say the stronger your marks and color, the more toxins you needed to release. The energy of the vortex here at Boynton Canyon is balancing. There's both masculine and female energy. Everyone keeps telling me that I have too much masculine energy (remember my story about my left side injuries being weak female ancestry?) so being here helps me feel more in balance. 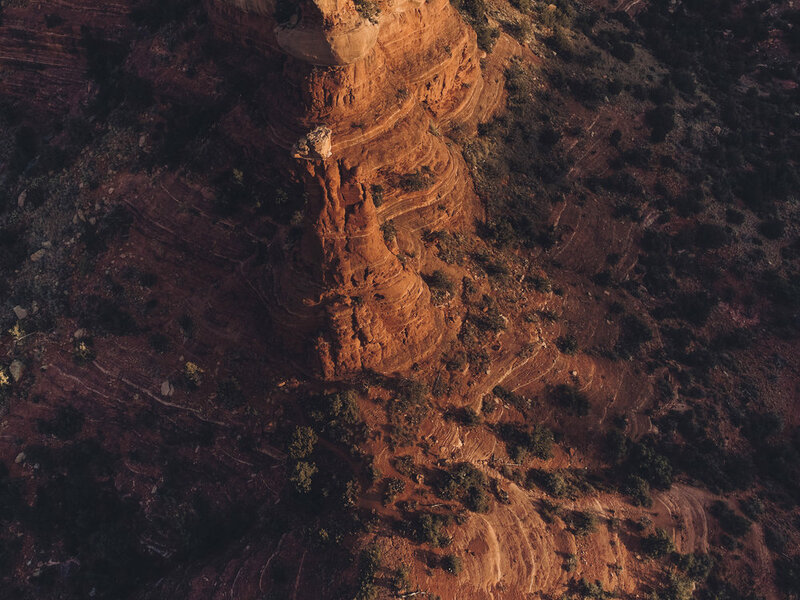 Take a hike up to Kachina Woman. Legend has it when she falls, humanity will fall as well. She has a very nurturing presence to help with your journey. Spot the ancient dwellings. This canyon has incredible history. On the hiking trail towards the back of the canyon keep an eye out for ancient dwellings in the rocks. Find animal and plant signs. I love hiking with awareness. We've lost our intuitive connection to nature so hiking while also not just looking at your feet helps foster relaxation and connection with our true selves. Wild sage grows back in here, along with juniper and other powerful plants. The smell is intoxicating! Find the daily flute player. This man comes every single day, climbs up the rock mound and plays the Native American flute for 20-30 minutes. It's amazing to hear this while walking through the canyon. Pure magic. In some superhuman feat of Mii Amo magic, I managed to take all of these photos by myself AND do a video. I feel like this place is best understood through movement. I hope one day we can experience this together! I'm so thankful for this experience both personally and also to be able to hopefully inspire you with some of these lessons. My message here was clear. Lead, teach, follow your heart. I hope to extend this with you for 2018. Many thanks to Keith for his presence. He's doing some amazing work with holistic healing in hospitals and helping those who suffer from disease by educating on mindfulness.